Is it time for a ski vacation yet? Our frog family is toadally excited for the snow slopes! Planning a ski trip involves making lots of decisions. 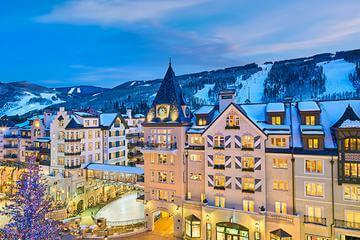 Which family ski resort is right for you? Should you rent vs. buy equipment? Are ski lessons worth it? 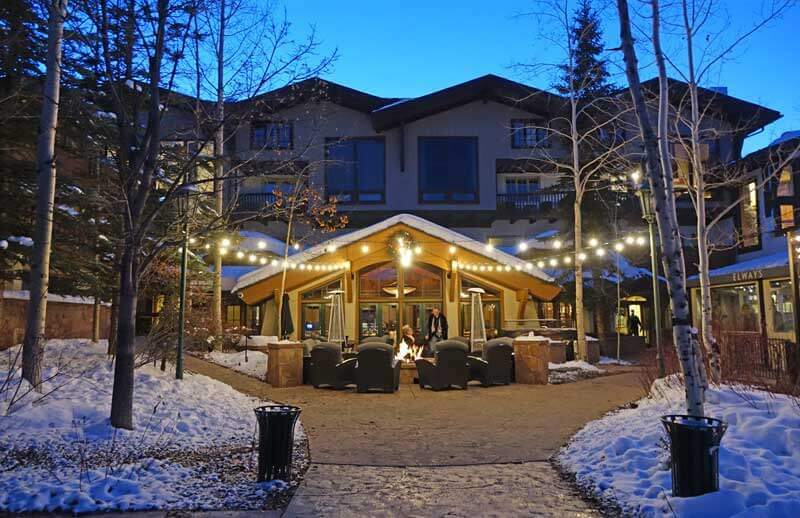 One decision that can really affect your vacation is staying at a ski-in, ski-out hotel. Although there are some advantages to an off-site property, our frog squad really appreciates the benefits of staying at a ski-in, ski-out hotel. You can hop right on the lift in the morning and ski back to your door in the afternoon (or you’re just a short walk away). These are among the most luxurious hotel options. While you will pay for the location, we think the benefits are worth it, especially for first-time skiers. You can minimize driving in hazardous conditions. You may be able to take advantage of first tracks before the resort officially opens and beat the crowds to the untouched snow. The hotels usually offer free equipment storage or ski valet. You can sleep in later in the morning than if you had to drive and park. You can move at your own pace. Family members can come and go as they please — no waiting for others when you are done for the day. We like the convenience of dropping the tadpoles at ski school and then getting ready to ski. It’s easy to hop back to the room for a snack, forgotten item, bathroom break, clothing change, footwear exchange or just to rest. You can find excitement just outside your door, especially if there is a village (although that can lead to less quiet at night too). 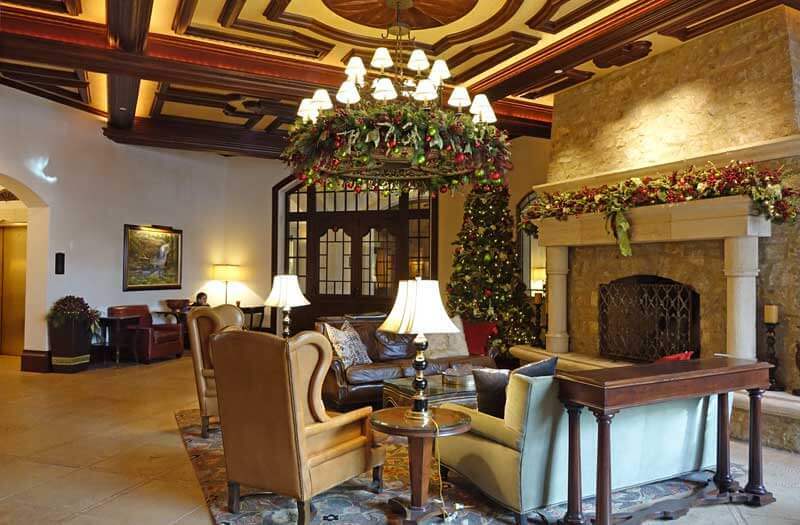 Some ski hotels offer perks like free hot cocoa or coffee in the morning. There may be plenty of restaurants, ice rinks, play areas, activities, pools or fire pits within walking distance. You can have that adult beverage to warm up après skiing without worrying about getting behind the wheel. You may be able to bundle equipment rentals, lessons or lift ticket deals with your lodging to save money. 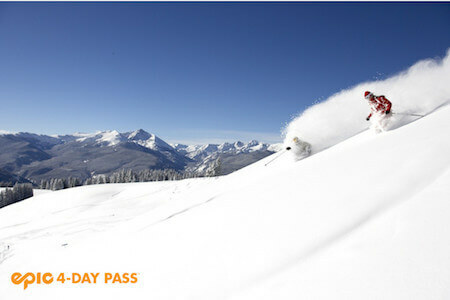 Hop tip: You can save big when bundling rentals and lift tickets with lodging through Undercover Tourist! Click here. It may be just a short hop, skip or jump to lessons. Be sure to check where your hotel and lessons are; at some resorts you can choose lesson location closest to your lodging. At some ski resorts, like Northstar, you may be able to get equipment rentals delivered right to your hotel — talk about skipping the line. Some units may have full or mini kitchens with small refrigerators and microwaves. This allows you to save more money. There is easy access to childcare at some resorts. 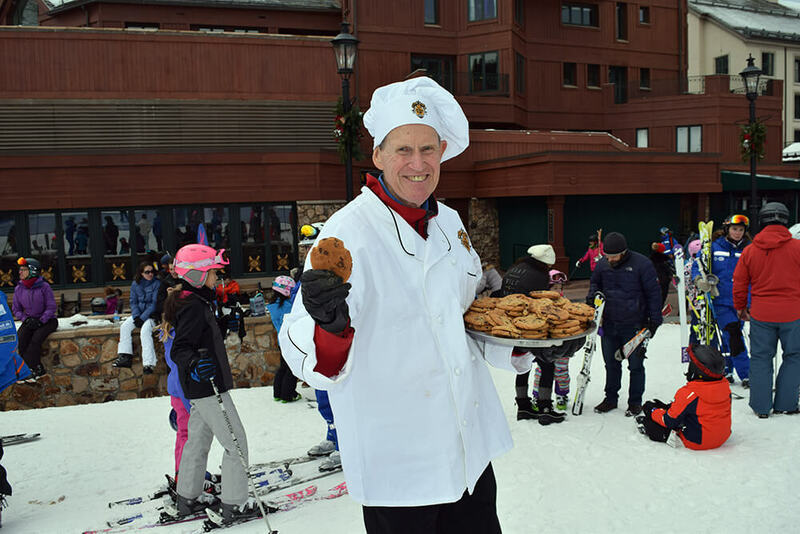 You may have easy access to scheduled family activities such as snow play times, parades, dress-up or themed ice skate nights, free treats (like warm cookies at Beaver Creek or s’mores at Northstar), mountain entertainment and sometimes even fireworks or holiday celebrations. Whether your ski resort has a village or the accommodations aren’t even near a village isn’t that important with a ski-in, ski-out hotel. 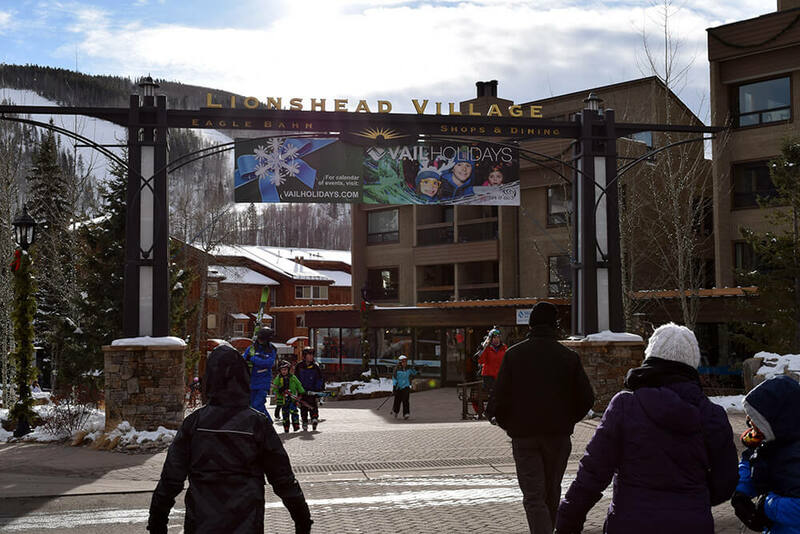 Some onsite ski-in, ski-out locations are not located in the village per-se, but you could have access to the village via lifts (by skiing). You might also access a village on foot via gondola or a free shuttle bus system if you want to go into the village from your hotel for dinner. Each resort is different in their layout so there may be various hotels on property. 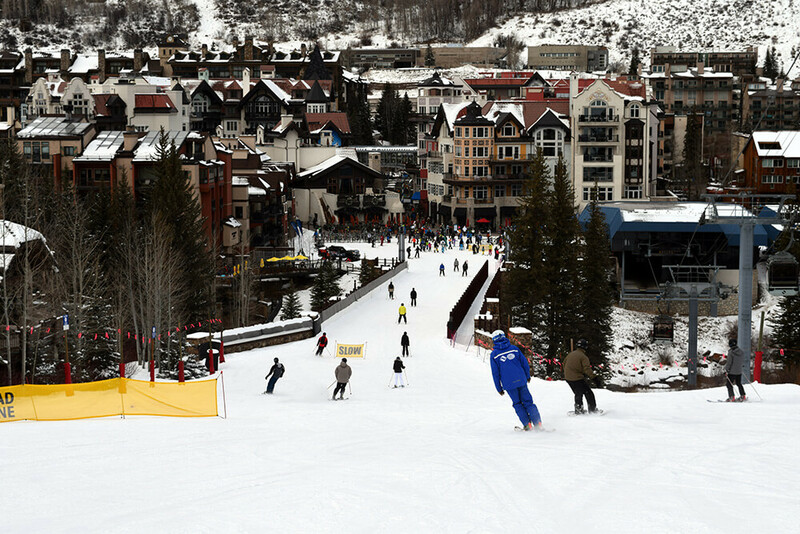 The best Colorado ski resorts for families that offer ski-in, ski-out accommodations and particularly great villages include Beaver Creek, Vail, Keystone, Aspen/Snowmass and Steamboat. Breckenridge has an amazing historic mining town at the base of the mountain, with a lot of shopping, dining, and pedestrian activity within walking distance of many ski-in ski-out accommodations. The best Tahoe ski resorts that offer ski-in, ski-out hotels and villages include Northstar, Squaw Valley Alpine Meadows and Heavenly. Park City, Utah, has a nice town and a Town Lift that accesses the mountain from some ski hotels near Historic Main Street. 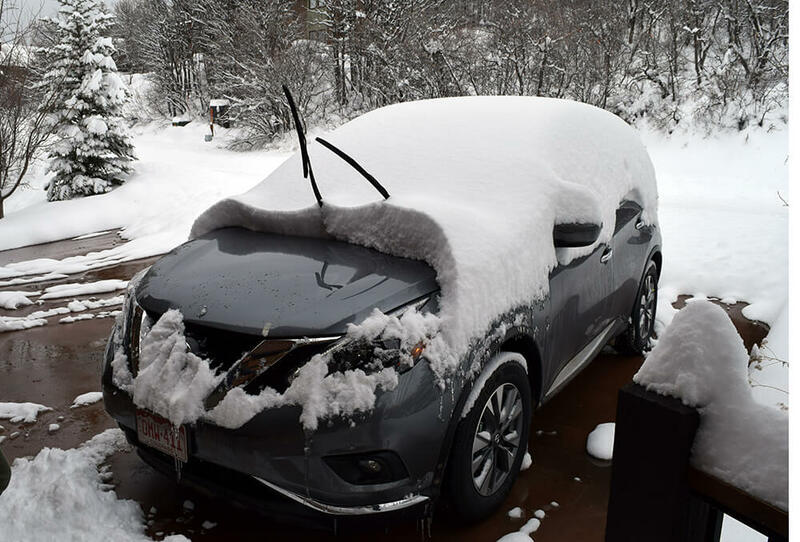 However we learned that they do not always open it or groom that trail in heavy snow, so keep that in mind and ask questions if you have your heart set on ski-in ski-out accommodations at Park City. Occasionally we stay off property as well — sometimes we stay at a ski hotel or condo nearby. We have also stayed somewhere central to several ski resorts to try different ski resorts on that trip. We just have to prepare differently in the morning to accommodate the drive and do more advance planning for our day. If the base of the mountain has a very high elevation, staying off-site may get us a little lower in elevation for better sleeping and breathing. You can save money on lodging to stay off the ski hill and you might gain a little space. Some off-site hotels can be a little quieter than staying in a village, but this is not always the case. We’ve stayed in very quiet ski-in, ski-out hotels and have stayed in a village where our window was over a loud bar. It’s smart to ask questions and request a quiet room if that is important to you no matter where you stay. If you can’t escape it, earplugs help too. With off-site properties, you can expect to pay more in terms of parking, gas, lunch, locker rentals, time and inconvenience. It can lead to frustration if different family members are ready to begin or end their day at different times. The early bird may be pacing while the late risers struggle to open their eyes. The people ready to leave the mountain by 1 p.m. might be hanging around, buying food, getting their après on or finding activities to occupy themselves until the rest of the crew closes the lifts about 4 p.m. This is when skiing at a resort with a village really comes in handy, so the early finishers have a lot to do. If you are skiing or snowboarding at a resort with a nice ski village, you might need to plan ahead to bring après ski footwear or dry clothes (although ski clothes are usually welcome and common in most places) to change into for walking around or playing in after skiing because it is less convenient to go back to the hotel and change. You do not want to be stuck in ski boots all evening, and you cannot go tubing or do other activities in ski boots. Snowboarders like our tween, Tad, have it a little easier because snowboard boots are more comfortable for walking around. In general, staying off property means waking everyone up earlier, driving, fighting traffic, finding parking, perhaps changing out of shoes into ski boots in a parking lot/locker area and sometimes taking parking shuttles from remote lots. For more, hop over our ski blog for ski school tips, finding winter family fun beyond ski slopes and my favorite, saving money on a family ski trip. 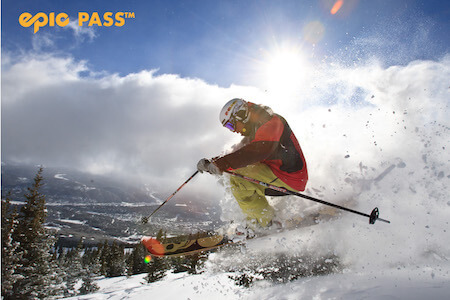 If you are looking to save on a ski hotel, lift tickets and equipment rentals at some of the best family ski resorts, save time and money by purchasing through Undercover Tourist. It’s time to book that ski trip. As we frogs always say, “The early frog gets the flies!” The sooner you book, the better the deals. Related: How Many Days Do You Need for a Ski Trip?